For Makerist, springtime is busytime! We have already picked out some quick Spring sewing projects and embroidery for beginners to kickstart the new season, and now we’re focusing on Easter! We have some eggcellent surprises in store for makerists with our 2019 Easter egg hunt. There will be DIY prizes to be won and lots of fun to be had! 7 mischievous eggs have escaped from the Easter Bunny's basket! They've been on the run and have now nestled themselves in our patterns and we need your help to find them. Hiding somewhere on our website are 7 eggs: 3 in the sewing patterns, 1 among the knitting patterns, 1 in the crochet patterns, 1 in the embroidery patterns and 1 in cutting files! These 7 eggs are very clever, to hide even better, they have disguised themselves as patterns. Once you have found an egg, you can capture it by adding it to your wishlist. To do this, click on the text "Add to Wishlist!" just under the add to the cart button. We will be able to find all the participants to make sure you get your exclusive DIY gifts! 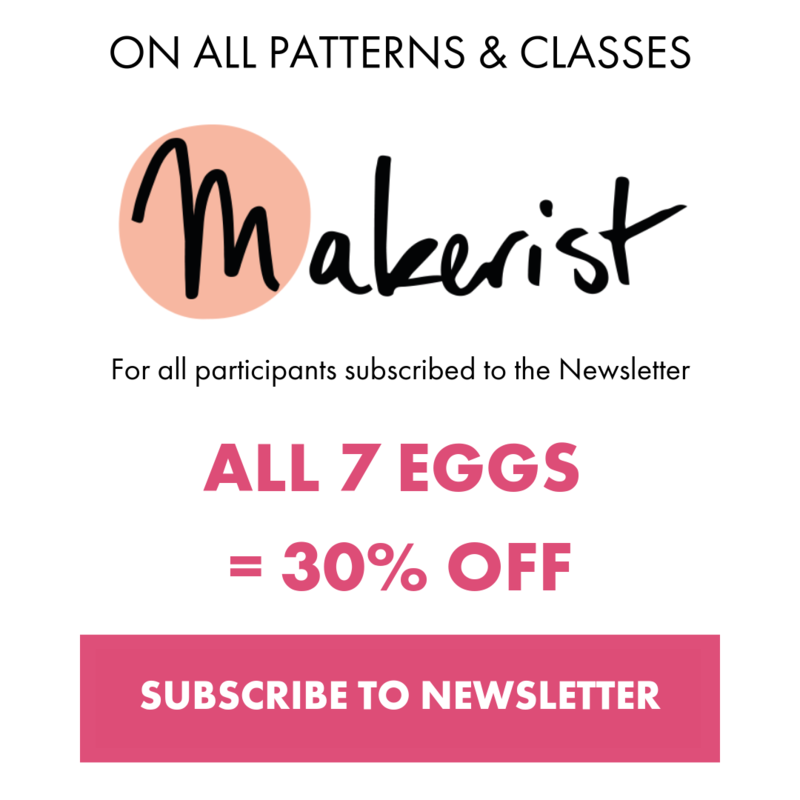 (see below) **wink** These crafty little eggs love embroidery accessories. Before you go looking for these bold eggs, you must do your research. Here's the line-up of our famous fugitives to help you track them down. Without your help this would be a difficult case to crack. Oh Sew Eggy This bad egg is the ringleader. Approach with caution, he's the mastermind of the escape. Eggstatic This egg may look like butter wouldn't met, but she's a master of disguise. Mini Egg Small and deadly. If you catch this egg, you're a pro. Scrambled Egg We've gone to the moon and back looking for this egg. Shelly You won't be able to easily fool this egg, she may be one of the most difficult to capture. 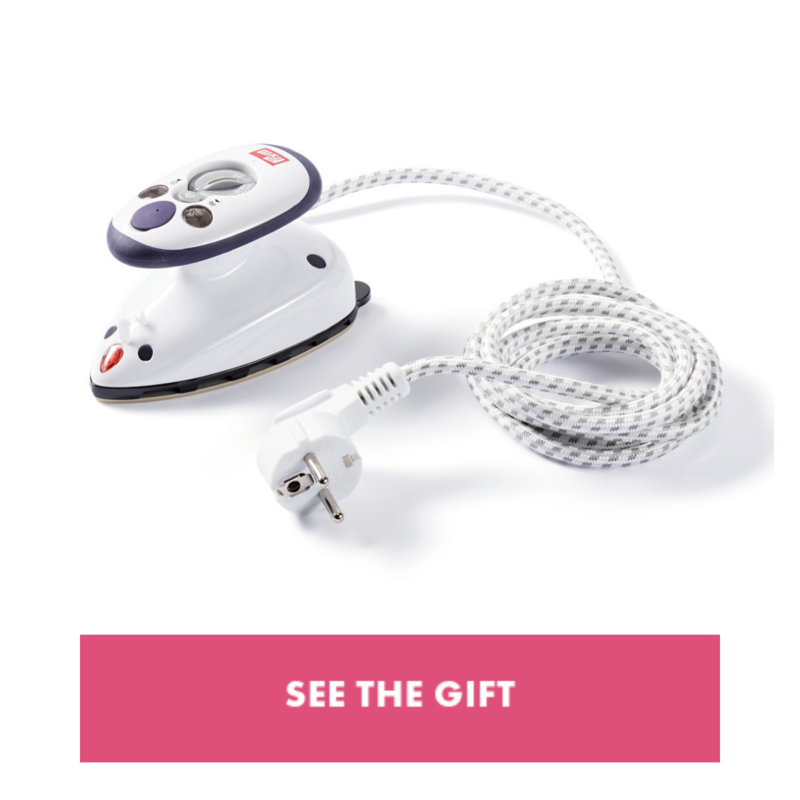 1 mini sewing iron from Prym for 1 lucky winner. Ideal for traveling or for ironining delicate and small pattern pieces. Please note! 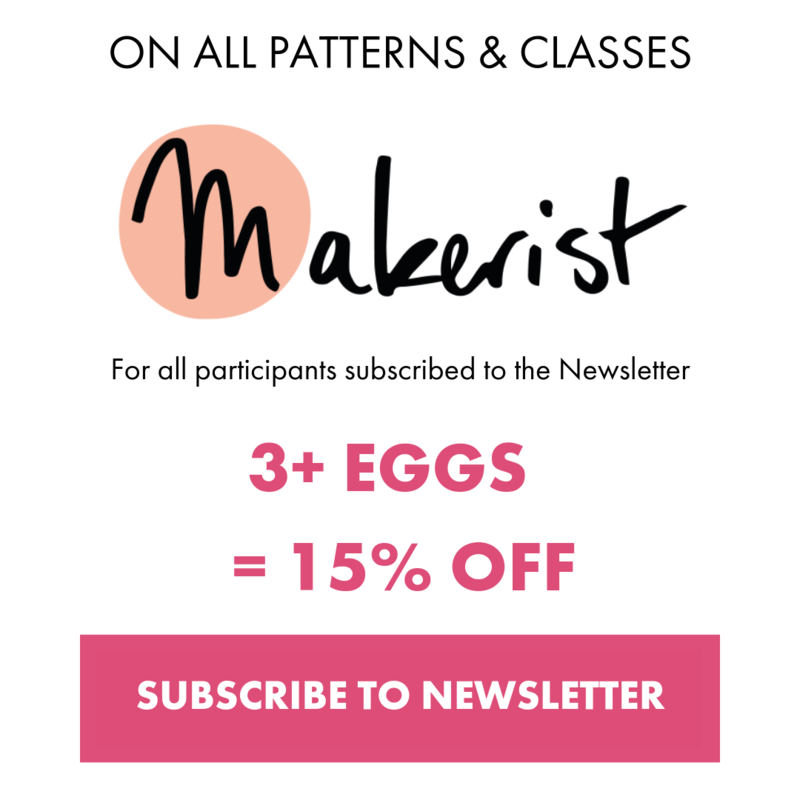 : you must be subscribed to the Makerist newsletter in order to receive prizes and promo codes! Now that you have all the information you need to hand, it's up to you to find these pesky eggs! Good luck!